Outer space. Mars. Stranded. Survival. 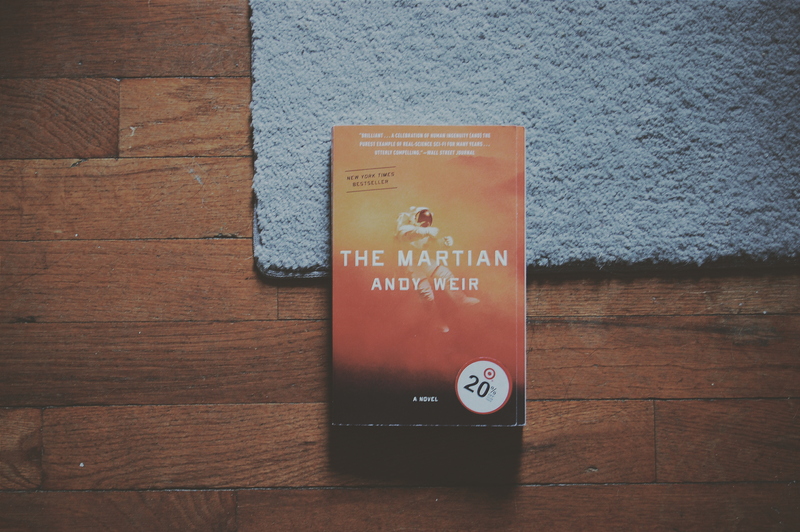 The Martian by Andy Weir is the survival story of Mark Watney. Watney is a botanist of the Ares 3 crew on the spacecraft Hermes. Their mission is to travel to Mars to conduct research. They make it to Mars safely, but one day there is a terrible dust storm. The crew has to abort their mission. They make it back to their spacecraft safely except for one person. Mark Watney. The crew and whole world believes him to be dead, but, boy, are they wrong. Watney survives being left for dead on Mars. Now he must fight for his life to leave Mars and get back home. Doesn’t this sound compelling? I thought so. I’ve heard so many great things about this book. Sadly, I was not a fan. It was a mediocre story. There were a few major problems that made me not like this very much. I read this in the beginning of April, so I’ve had time to mull this over to make sure this is how I actually feel about this book. It is. I stand by everything I am going to write. Let’s discuss Mark Watney first. I found his character funny. I laughed out loud a few times. I try to put myself in his shoes of being completely isolated from EVERYTHING. His comments about his downtime activities (disco music, kung fu movies) cracked me up. It was one of those cases where something was better than nothing. Watney is a very intelligent character. This is a pro and a con (I will discuss why it’s a con a bit more later). However, there were times where I was just over his character. He became annoying to me. The way the book was written may not have helped that. The Martian is written mostly in log (diary) form. I thought this worked to a certain extent. You were able to know what was going on in his head. On the flip side, you knew EVERYTHING that was going in his head. These logs were SO detailed in scientific talk, it became tiresome. Andy Weir is so knowledgeable in this field that he made his character the same way. No detail was spared when Watney would troubleshoot an issue he had. Some of it was over my head, so it was hard to visualize what he was doing. Along with the logs, The Martian also has behind the scenes action through NASA and their officials. I enjoyed these parts of the books so much more than the logs. I wish there was more of this. I liked the characters. It flowed so much better than the logs. These parts were also written in third person, and I think that helped the storytelling of these sections. I kind of wish the whole book was told in third person. I feel like it would have worked a bit better, especially in scenes where Watney is trying to fix a problem, and he will stop what he is doing to write in his log. STOP. SOLVE YOUR PROBLEM. WHY ARE YOU WRITING IN THE LOG?! Geesh. Here was my major problem with the book: I just didn’t care about Mark Watney. I started off caring about him, but that faded pretty quickly. When the book takes place on Mars, there isn’t much world building, so you have to rely on your main character to pull the audience in and stay. You are supposed to care about Mark Watney and if he is going to be rescued from being left on Mars. I didn’t really care. I never felt Watney was in real danger. This is where his intelligence works against him from a reader’s point of view. He had a solution to every problem. Every. Single. Problem. There was one point in the book where he is having an issue and Watney asks, “Want to know how I fixed it?” I literally said out loud, “NO!” when I read that part. To be honest, I started to skim read some of his detailed logs about how he, once again, overcame his problem. Even during the climax of the book, there is a problem, and he solves it. Come on! It was ridiculous. I really wanted to like this book, I really did. The NASA aspect is what saved this book for me. If that wasn’t there, this book would have a very low rating for me. I’m not saying I don’t recommend this book because a lot of people really enjoy this book. I can see how they do. It was a quick read; I will give it that. However, there will be a movie coming out later this year based on the book. Matt Damon will play Mark Watney, and I approve of the rest of the cast. I honestly think the movie will be better than the book. That’s not something I say very often, but I think it will be. Today, I watched the trailer for it (I’ll embed it down below). It looks like they are replacing written logs for video logs, and I 100% approve of that change. It also looks like Wantey is written with some real emotions. I like it. I will be seeing it when it comes out, and I think I’ll enjoy it. 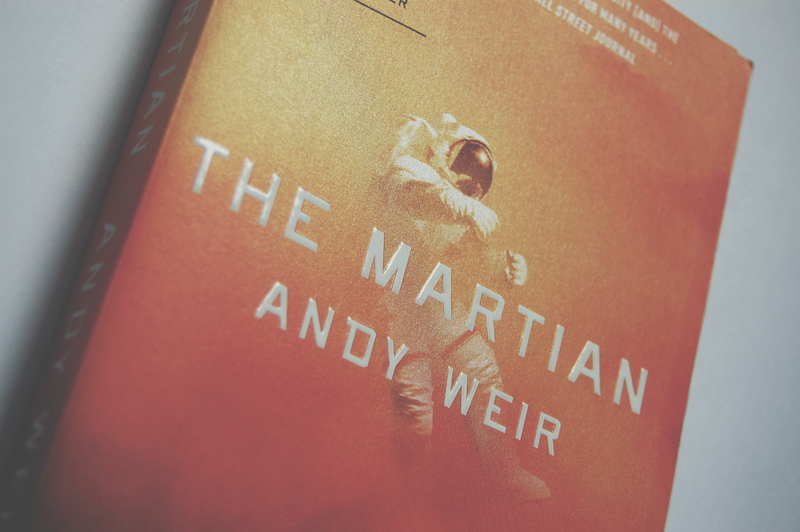 If you read The Martian, let me know what you thought about it! I would love to hear other perspectives.